Oh, I love a good ghost story. And this one has enough deliciousness in spades. An inexplicably broken tea mug. A hairline crack in a window gradually getting bigger. Creaks and sighs from upstairs (if you REALLY want to get the crap scared out of you, listen to this story!). I read this a while ago, over the summer during Salt Publishing’s campaign to save itself from debt. God, I love independent publishers. Something I’ve really learned over the past six years is how much more varied and interesting the indie catalogue is. Thank God for risk-takers! In the margins next to this, I wrote, IT ME. So dark! I love it! He ties this in with celebrity and social media, about how people use their names online not only to denote the core of who they are, but also as an ADVERTISEMENT of their own idea of who they are, in terms of creating a context online for their name, a furnishing, “not unlike the way in which a brand is built up or a pop star constructed.” This is my favorite kind of rant, let me tell you! If I am ever trapped in the corner by a drunken Knausgaard at a party, let me tell you, I am NOT moving. 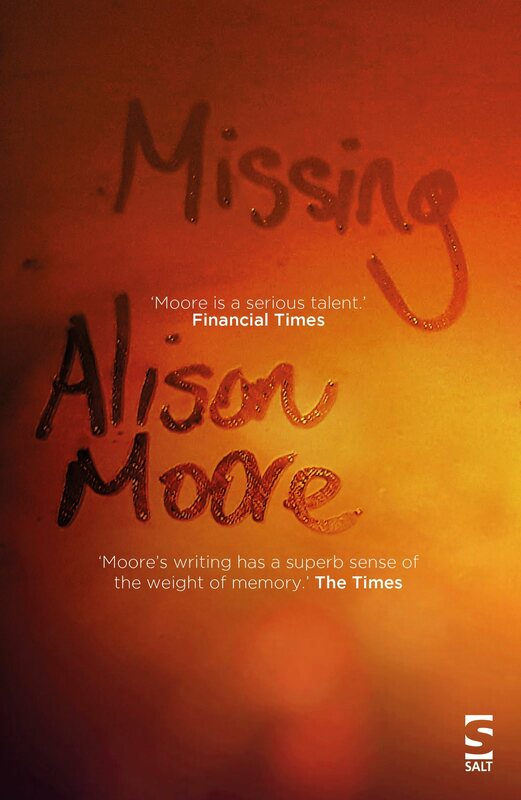 This is what I enjoy the most about books like Missing. Quiet books, that are all the more brilliant for how quiet they are. They’re not launched frenetically upon the media stage. They’re not loud. But in their firm and resolute way, they are keeping art alive. When I read passages about a woman obsessively making lasagnes and think, IT ME, god, what a comfort that is! The moment of recognition when reading Missing‘s discussion of how a missing puzzle piece (especially a corner one!) can create such a terrible mood around the house! The reflections of a translator on how bloody hard it is to communicate, on what a responsibility it is to try to say exactly what you mean! The familiarity of reading about someone who leaves notes in the margins of library books and checks them years later to see if anyone has responded! Or the way a man chopping onions is described: “He pressed the back of his wrist to his eyes. He looked as if he were acting in a tragedy.” That moment of oh wow, I never saw it put that way. And also this idea of breaking out of our “veils of habit and familiarity,” which is very much a theme of Missing. God, I can’t even begin with this! That’s probably why I obsess so much about travel, about escape, because it feels like an “easy” fix, an electroshock to the system to make you sit up, take notice, not sleepwalk through your life but take notice of every moment. It’s so hard, as a self-critical young woman, to feel like I’m living my life the way I want to. But what can I do, but get up, blast one of my microwave frozen lasagnes, and try to get through the day with as much compassion and attention as I can. That’s the kind of art I want to make, too. Quiet and unassuming, and mine. My horror obsession has returned… is it a hangover from four years of reading/writing/thinking about Bolaño? Or maybe because my life in England feels very quiet and small most of the time. Routine-filled. I spend a lot of time by myself, or with the cat. I am working a lot on a writing project and rarely leave the house. I do try to see a friend at least once a week, and I take a trip to Glasgow. I mark student work and submit it. I begin the couch to 10k training routine, again. Sometimes my knee hurts, deep stabbing sharp pains, ancient remnants of an injury from playing high school basketball. 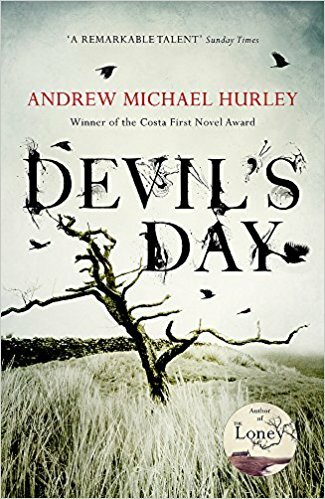 I go to the library close to my house and pick up Such Small Hands by Andrés Barba and Devil’s Day by Andrew Michael Hurley (I return both late, and am fined). The Barba novel, I’ve wanted to read for some time now. I’ve heard it described as “short” and “intensely creepy”, and it is decidedly both these things. 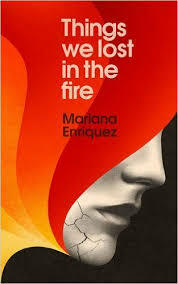 It’s also a wonderful example of a novel narrated (partly) from the “we” perspective, a style I find deeply fascinating. What are other books that do this? The Virgin Suicides? The Buddha in the Attic? 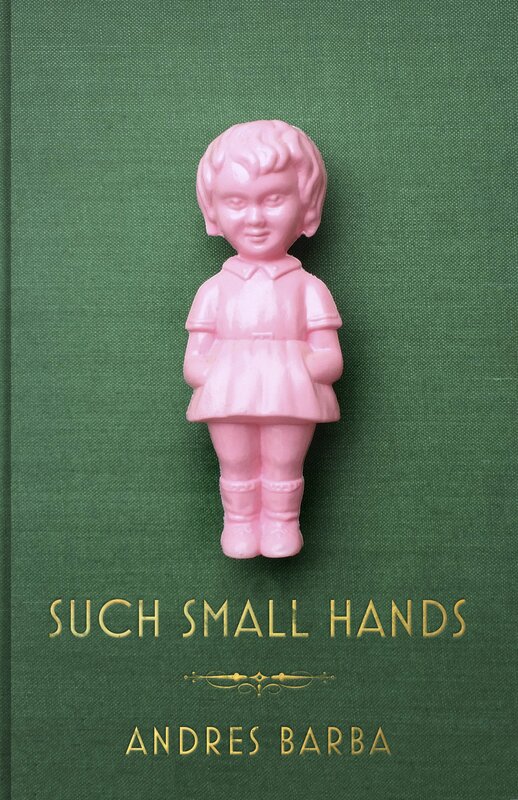 To be fair, in Such Small Hands the narration switches back and forth from the “we” perspective and the POV of Marina, a child whose parents are killed in a pretty brutally-described car accident in the opening chapter (this was probably the most memorable part of the book for me, in terms of graphic bodily violence). Marina is taken to an orphanage (the girls already living there are the “we” voice in the book). They tear her doll apart limb from limb and bury it the yard. So Marina invents another game for them to play, in which the girls take turns pretending to be dolls themselves. None of this is really a spoiler. It’s all pretty unsettling. I found this book very effective and scary (I also LOVE short novels), but I’m left uncertain as to what it all “means,” not that it matters. Is this basically about the evil of childhood? The afterword by Edmund White makes reference to an incident in a Brazilian orphanage that took place in the 1960’s, on which the book is apparently based. I won’t spoil it (you can find out by googling) but it’s deeply distressing. In this interview the author says he was inspired by a Clarice Lispector short story. His discussion of the purpose of fear in fiction, and of Henry James’ manner of writing about ghosts “as if he were speaking of tables or pencils“, is also pretty memorable. Andrew Michael Hurley is another author I met via my job, when he came to the university last year to give a talk. I hope if we ever meet again, he doesn’t remember how I almost made him late because I didn’t have my keycard with me and we were couldn’t make it past the locked doors to the elevators, so we had to go down the stairs D: In my defense, I was a BRAND NEW staff member and didn’t know that the doors were going to lock! Oh, what a good read this was. So immersive. Another book I read in a single sitting, sitting on my boyfriend’s couch while he slept in late in the next room. There are parts of this book that are still so scary for me to remember I can barely stand it. UGH, SO SCARY! Hurley is a master at using the understated and the unexplained when it comes to horror. Basically, anything that ever has to do with dead animals… or references to mysterious satanic rituals undertaken by rich university students… or when someone sees or hears something that someone else doesn’t… that’s it for me. UGH, I can barely even think about some of those scenes even now! The moral ambiguity of the narrator here is also a really interesting component of the book. In a way, he “wins” – he gets what we wants. But is it really a victory? “Under the Black Water” – one of the collection’s strongest pieces. I haven’t read HP Lovecraft but I would definitely call this Lovecraftian. What with its emphasis on monsters emerging out of the dark water, deformed children, headless pigs in churches, and Satanic rituals… man!! I liked how the horror was linked to destroying the environment, and Argentina’s history. “The Neighbour’s Courtyard” – Ok. So this one of the MOST FUCKED UP THINGS I have ever read. NO JOKE! I told my boyfriend the plot of this story in a bar and I traumatized him and ruined our date D: I LOVE the open, unresolved ending. So brutal. SPOILER WARNING: This is really brutal to read if you’re a cat lover. I think this story is an amazing example of horror fiction, in terms of how deliciously effective the slow reveal of creepy secrets can be. “An Invocation of the Big-Eared Runt” – This one might be my favorite! I believe it’s the only piece narrated by a male. The ending said SO much to me about violence against women, and what is and isn’t monstrous. The main character is a tour guide, who runs a murder tour in Buenos Aires. He begins seeing the ghost of a famous serial killer. Sounds twee, but believe me… it goes to unexpected places. “The Intoxicated Years” – I love this story! You can read it online in Granta (https://granta.com/intoxicated-years/). It follows a group of female friends over the post-dictatorship years, and their transformation into witchy beings that are either powerful or disturbing. Either way, they’re definitely capable of anything. This story makes me want to cry in parts (nostalgia? Sentimentality? ), but I’m not sure why.